Craftsman has put together short videos that go through the basic maintenance you should perform on your snow blower to keep it running this season. These videos are short and to the point. If you follow them – you can perform the task and save yourself $100 or so for a “tune-up” at your local repair shop. These videos will give you the information you need for 90% of the 2-stage snow blowers on the market. This includes all Craftsman 6 speed snow throwers, Cub Cadet 6 speed snow throwers, Troy-Bilt 6 speed snow throwers, Yard Machines 6 speed snow throwers, Husqvarna 6 speed snow throwers, and most other brands with 6 speeds forward. I am including pictures of a Husqvarna to show you that all of the current brands are different – yet basically the same. If I can do this, you can do this. AFTER the videos, I put together a list of the minimum tools you need to do all the maintenance on your snowthrower. Of course this is a list of Craftsman tools – because all these tools have a complete, no questions asked, life-time warranty. Go through this list of tools and get what you don’t have. You can buy these online, pick them up at your local Sears or have them shipped right to your home. Craftsman made this video on adjusting the skid shoes and replacing the shave plate. In the video it shows removing the shoes and reversing them. You ONLY need to do this if they are worn. For your new snowblower you only need to loosen them and slide them down. My driveway is fairly smooth so I adjust them so there is about 1/8 inch clearance between the shave plate and the ground. 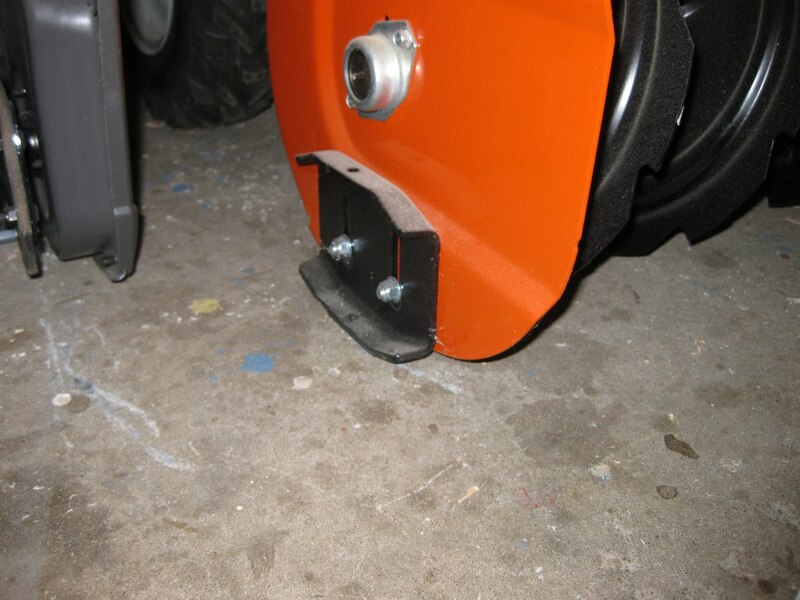 (the thickness of cardboard) If your driveway or sidewalk is rougher, adjust them so the shave plate is higher. If you are clearing a gravel or dirt driveway you may want to start at about 1/4 inch. If you are still throwing rocks, raise them higher. Here is a picture of a Husqvarna with steel skid shoes. You adjust these the same way. Here are the correct shear pins for your 2012-2013 Craftsman Snow Blower. Craftsman Snowblower Shear Pins Order a package or two and duct tape them to your handle bar. 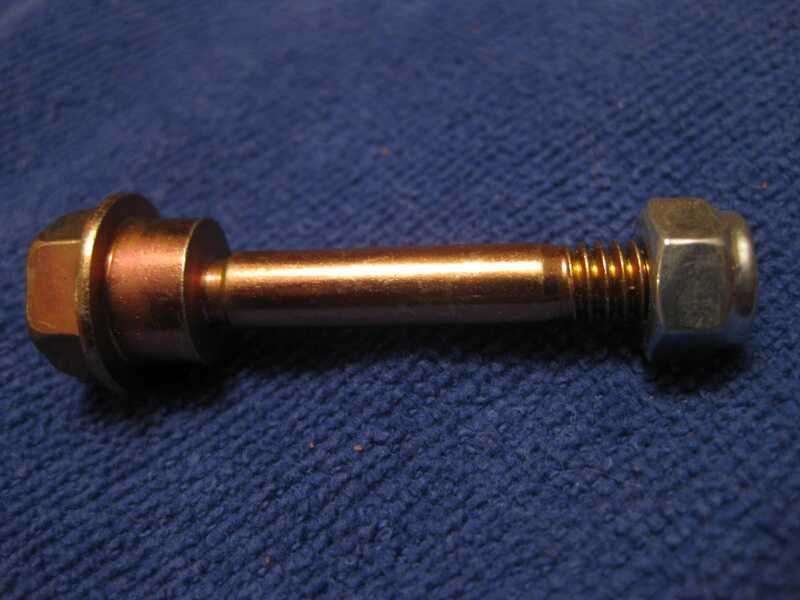 Troy-Bilt, Cub Cadet, Yard Machines, MTD Pro all use this shear pin. Every once in a while you will shear a pin and it won’t eject itself out of the snow blower. If that happens you will have to drive it out with a punch and hammer. Don’t use a nail unless you grind the end of the nail flat. The point of the nail can cause the sheared pin to flare and make it even harder to get out. I had one last year that sheared flush. I couldn’t find the hole! I eventually found it by using a flashlight and slowly rotating the auger on the shaft until I saw a very fine circular line. That was the edge of the sheared pin. To keep you snow blower is tip-top shape you should lube the front shaft at least once a year. This will help the shear pins eject easier if you break one. 1. 3/8 inch Socket Set: The new Universal Craftsman sets will handle most nuts and bolts including the new Torx style. Here are 3 different sets. The basic set is what you need. The other two sets have more tools so you can do more stuff around the house. 7. Hammer: Any old beater will do…….. including the claw hammer in your kitchen drawer.